Covering 24 hectares of prime real estate in Auckland’s Mt Wellington, Sylvia Park is the largest shopping centre in New Zealand. The rapidly increasing number of visitors has led to a growing demand for extra car parking, a need fulfilled recently with the addition of four storeys to an existing two-storey car park. While precast flooring was originally specified, it soon became clear that it posed unacceptable risks to the project. Not only would delivery within the construction timeframe be difficult, but the crane work required would have created a significant amount of construction traffic on roads shared with the public. The savings in crane costs resulted in the post-tensioned solution being cheaper than the specified precast option. Fortunately, main contractor Brookfield Multiplex understood the significant construction and delivery benefits of post-tensioned concrete flooring. In this case it eliminated the risks of precast concrete and enabled clean, clutter-free soffits that significantly improved the quality, user experience and sightlines to exit points. 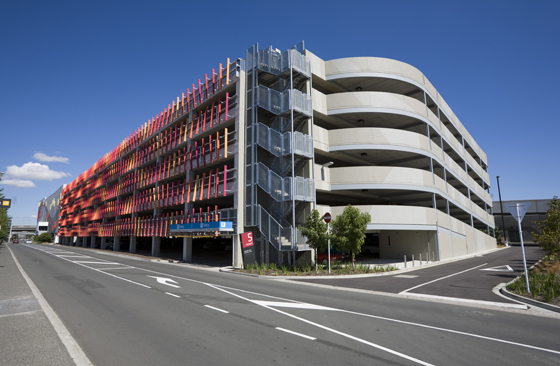 It also enabled each parking level to be reduced by 200 millimetres, which offered enormous benefits in ramp gradients and resource consent and construction costs. BBR Contech worked with its Australia BBR Network partner Structural Systems and project design consultant Buller George Turkington to develop a solution that met New Zealand’s seismic protection standards. The result is a post-tensioned, elevated structure with band beams, created in 20 separate 1000 square metre pours. Seamlessly integrated with the shopping centre environment, it was also installed with minimal interruption to the ongoing retail operation and customers using Sylvia Park.